Australians lead the world in their use of the party drug ‘ecstasy’. A whopping 11% of Australians over the age of 14 have tried ecstasy at least once, and a growing number of Australians become regular users and suffer from ecstasy addiction. The euphoric, psychedelic, and energy-boosting properties of the drug make it popular amongst college students and the club scene, and many resources are available for students and others considering taking ecstasy on how to “safely” use the drug. But this street drug is addictive and dangerous—and as frequency of use increases, the negative side effects begin to mount. Tolerance to ecstasy develops quickly—meaning you need a higher dose to achieve the same ‘high’ each time you take it. Using higher doses of the drug, or ecstasy that has been cut with other dangerous chemicals, can lead to many health problems including heart failure and death. Denying a problem and considering ecstasy use ‘recreational’ is common—yet when used every weekend, or even every month, tolerance has begun to develop and ecstasy use has certainly reached problematic levels. If you have tried to abstain from using ecstasy but have not been successful, seeking help for ecstasy addiction is necessary. Ecstasy addiction treatment can usually be successfully completed in an outpatient rehab setting. Getting help for ecstasy addiction is a difficult decision to make. The Cabin Sydney provides supportive, confidential, and convenient outpatient treatment to help you through all phases of drug addiction treatment from initial assessments and consultation, to completing an effective and individually tailored treatment programme. The Cabin Sydney employs professional addiction counsellors with vast experience treating the complex disease of addiction. Clients choose The Cabin Sydney because our worldwide addiction treatment services uphold the absolute highest standards of confidentiality, treatment, and professionalism while at the same time making recovery manageable. At The Cabin Sydney, clients receive addiction treatment in a flexible outpatient setting which allows them to continue tending to work, school, and social obligations while also getting the help they need to overcome ecstasy addiction. Our leading Recovery Zones treatment method offers an integrative, modern, and effective approach to addiction recovery. 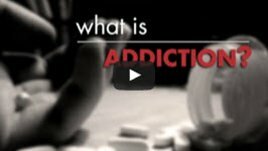 This approach will help you address underlying thoughts, emotions, and behaviours driving your addiction, learn about the disease of addiction, and build the skills, support, and change necessary to live a life free from ecstasy addiction. For most people struggling with ecstasy addiction, outpatient treatment can be highly effective. However for some, residential treatment may be more appropriate – especially if ecstasy addiction co-occurs with other addictions such as that to alcohol or other drugs. In these cases, we can refer you to a fast-tracked admission to The Cabin Chiang Mai, our luxury residential rehab located in Northern Thailand. The Cabin Chiang Mai offers residential drug rehabilitation at our comfortable and serene Northern Thailand centre. Many Australians have already sought help and successfully recovered from addiction at The Cabin Chiang Mai. Our team of Western-trained addiction specialists utilise an enhanced version of the Recovery Zones treatment model that includes group and individual addiction counselling, fitness therapy, recreational outings, and mindfulness practice. Removing yourself from your daily environment may be what you need to overcome ecstasy addiction. Contact us today about ecstasy addiction treatment to have a no obligation assessment and see how we can help you. Fill out the short form on the top right of this page, or call us directly on +61 2 9326 2867, to start your journey to recovery now.